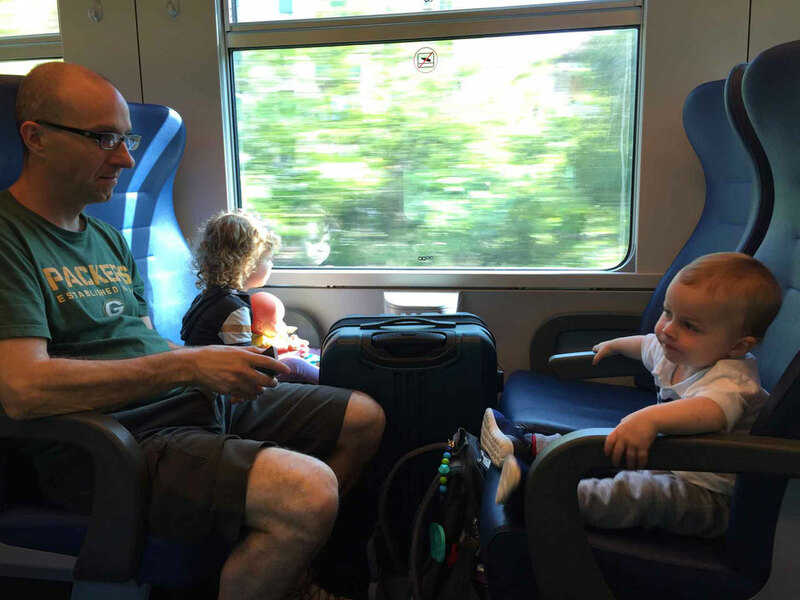 Traveling by train is one of the best ways to get around Italy. It’s so much more relaxing than renting a car and the scenery is spectacular. 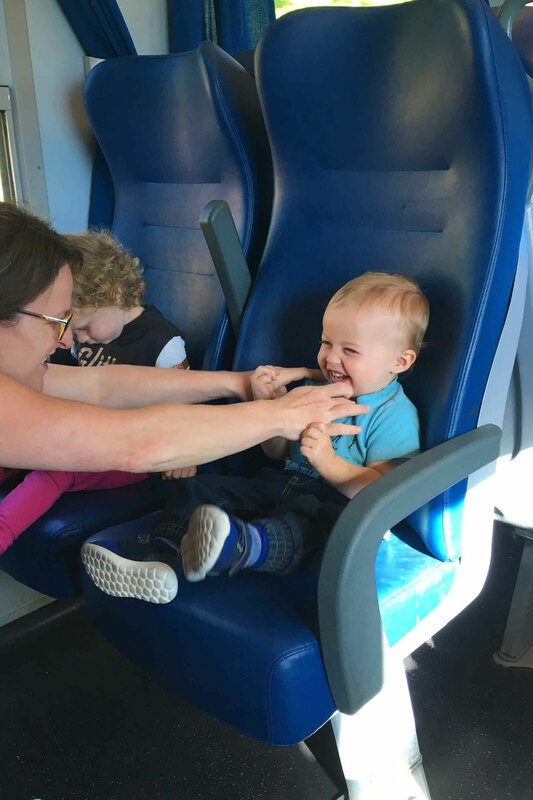 Don’t be shy taking the train with kids – Italians LOVE kids and they will be made to feel welcome on every journey. Trenitalia operates most national and international trains within Italy. Train tickets can be purchased directly from their English web page. It’s cheapest to buy straight from the operator, but one small downside is that you need to know the Italian names of the train stations (which we provide below). Another user-friendly option for buying Italy train tickets is Rail Europe. 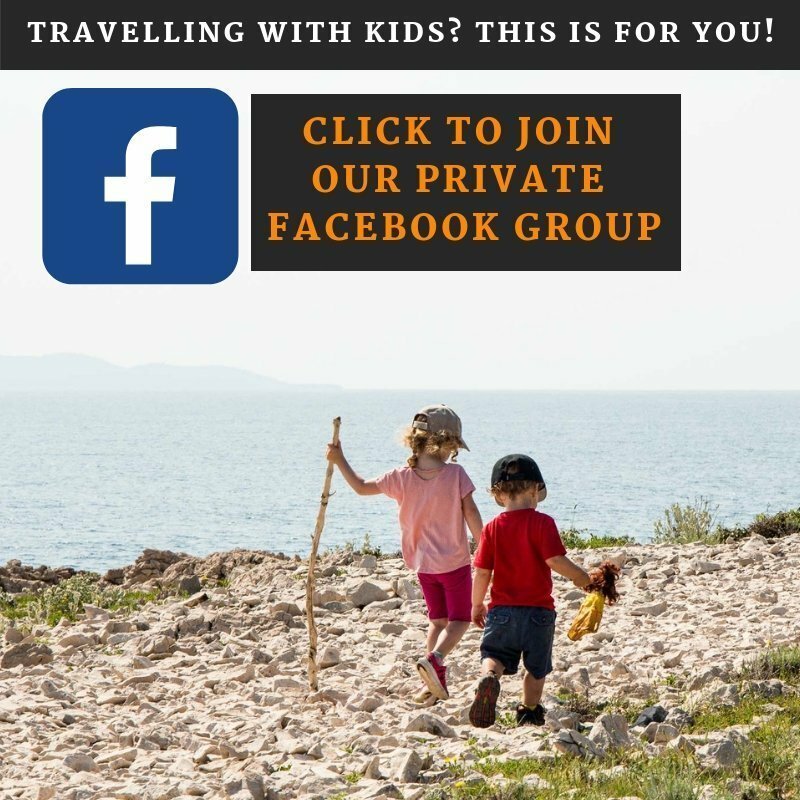 They are a a one-stop shop for purchasing European train tickets and sightseeing products. A big advantage is that you can use English station names and buy tickets in your local currency, but one small downside is that you may not be able to buy tickets on small, regional lines. Kids aged 3 and under travel on trains for free. Even though we didn’t need to, we bought reasonably cheap youth tickets for our 1 & 3 year old kids to ensure they had a seat and not on our laps. 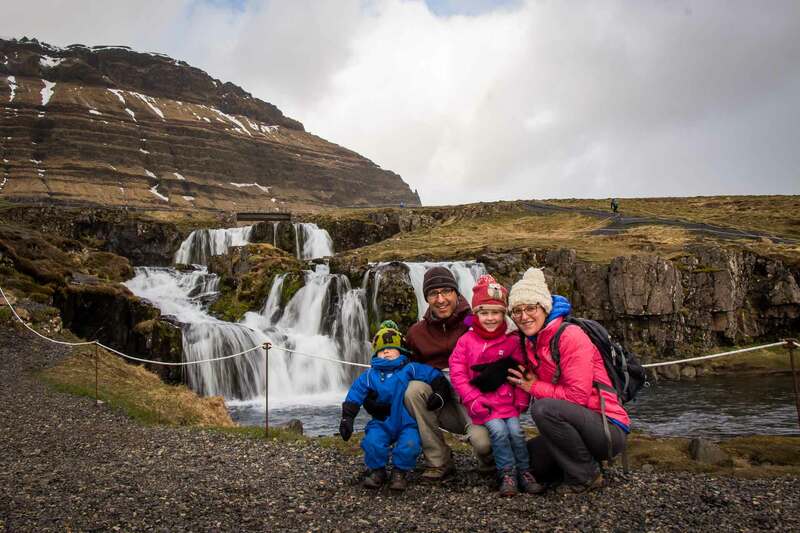 Each time the train officials checked our tickets, they went out of their way to tell us we didn’t need to buy tickets for the kids, but given the small expense we felt comfortable with our strategy. 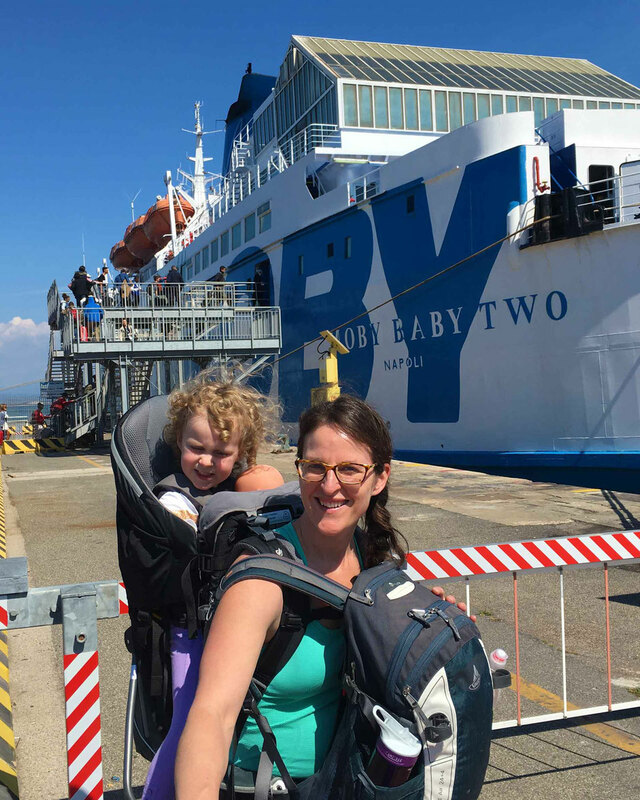 Our trip from Rome to Elba was our first attempt at rail and ferry travel in Italy. 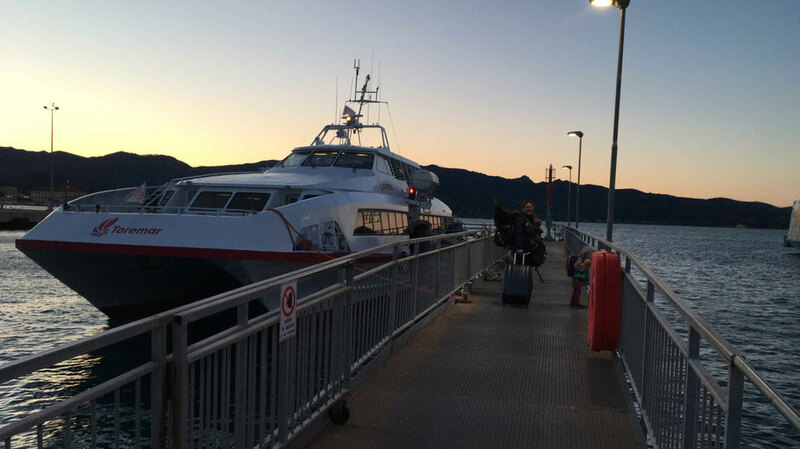 It was a little ambitious to start, with two train connections plus a ferry, but it went off without a hitch. Train from Campiglia Marittima to Piombino Marittima (duration approx. 30 minutes). 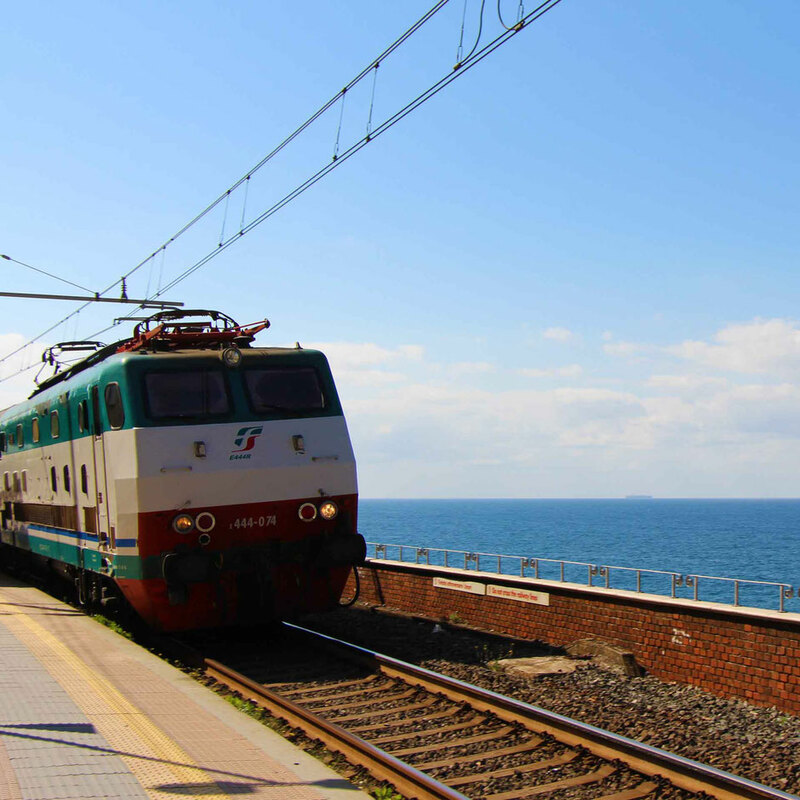 The train station in Piombino is conveniently located on the water next to the ferry dock. We traveled on regional trains, which meant we could not reserve seats in advance. There was plenty of room on each train and we had no issues getting four seats together. The ferry terminal in Piombino had a play area for small kids. Our ferry (operated by Moby) also had a large play area for small kids. Read about our week in Elba here. Continuing north along the western coast of Italy, we ventured to the stunning region of Cinque Terre. As you’d expect, the scenery along this coastal route was pretty spectacular in parts. There is a regional train that runs from La Spezia to Levanto. The stops in-between these two hubs are the 5 famous towns of Cinque Terre. 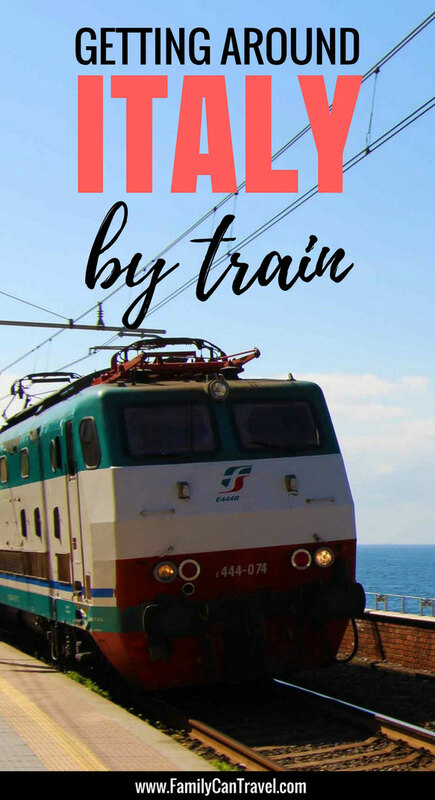 This regional train runs very often and is the easiest way to get from town to town during your stay in Cinque Terre. 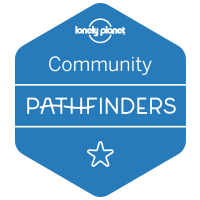 If you plan to do some hiking in Cinque Terre (and you really must! ), you will need to purchase a Cinque Terre Card, which is your entry pass into the national park. You can buy a “Train” version of the card for a little extra, which gives you unlimited train travel between all the Cinque Terre villages. Of course, you don’t need to stop in Elba as we did; there are trains from Rome to Cinque Terre as well. Our next major stop on our itinerary was Lucca. When we noticed the train journey to Lucca required a stop in Pisa, we thought it’d be a crime if we didn’t plan a stop to see the Leaning Tower of Pisa. We had a 5 hour layover in Pisa, which was more than enough to see the sights. Train from Monterosso to Pisa Centrale (duration approx. 1h10m). Not all Cinque Terre villages have connections to major centers outside of the region. Monterosso is the biggest village, so tends to have the best connections. The Pisa train station has luggage storage. Look for “Deposito Bagagli” (don’t you just love Italian? “Bag Storage” sounds so sophisticated! ), located to the right at the far end of Platform #1, close to the police office. It costs about 3 euros for 12 hours. Have your passport ready for identification. Pisa is close enough that it can easily be done as a day-trip from Florence. Read about our stop in Pisa here. After a really fun pit stop in Pisa, we took a quick train ride to Lucca. The trains from Pisa to Lucca are quite small. Ours was only two cars long and was full enough that some people were standing. Get there early to secure seats together. Lucca is also close enough that it can easily be done as a day-trip from Florence. Read about our 2 day stop in Lucca here. 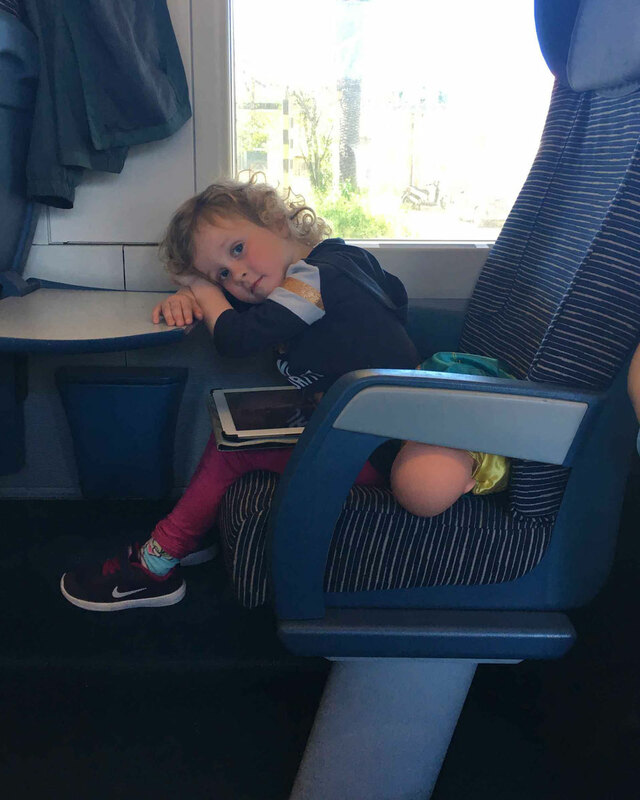 Our final rail journey of our trip was a quick, simple one from Lucca to Florence. As with the previous leg of our trip, the trains on this route are quite small. Get there early to secure seats together. Read about our week in Florence here. 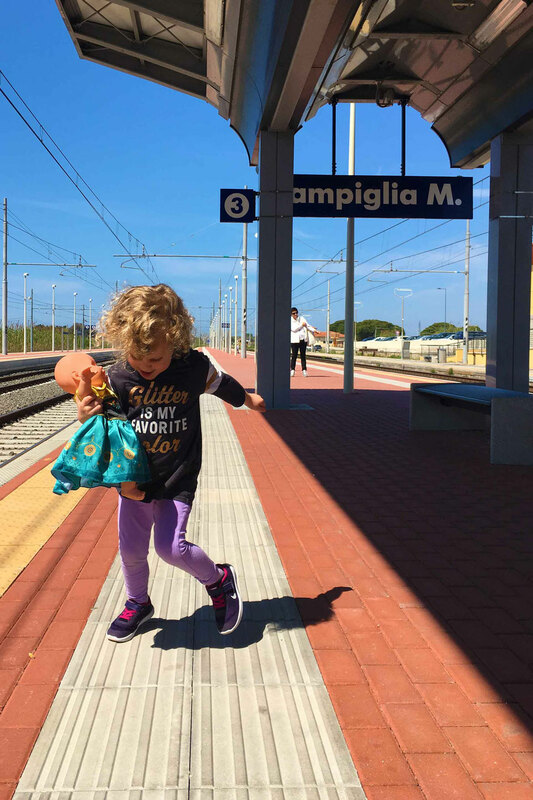 Have you traveled by train in Italy with kids? What was your favorite part? Tell us in the comments below.